When you need a garage door company to work on your home in Middletown, OH, look no further than 31-W Insulation. We proudly offer and install garage doors made by Amarr®, one of the most trusted manufacturing companies in the industry. These doors are made from heavy-duty materials for superior durability, and they are available with insulation to help you save on heating and cooling costs for your garage. Plus, all of these doors come standard with some of the most effective safety features in the industry, including pinch protection and flush-mount hinges. Our team of experts will gladly help you navigate the many customization options you’ll have for your new door, as well. You’ll be able to choose from a variety of beautiful styles, as well as window options, decorative hardware, and a rich palette of attractive colors to suit your personal taste. 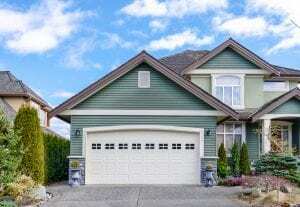 For additional information about why residents of Middletown, OH, choose us as their garage door company, contact 31-W Insulation today.